Carolina Yoga offers an intense physical workout combined with heat and core strength, while flowing in a high energy atmosphere (in our C3 Heat, Power, & Strength classes). In addition, we offer C3 Recover as well as Basic and Kid/Teen classes. 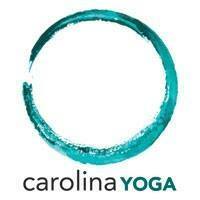 We are committed to building a confident yoga community throughout the Carolinas.